This is a post related to a course at CMU (18-652 Foundations of Software Engineering). It is designed to be of help for fellow classmates and probably of not much interest for anybody else. This post walks you through the setup of a personal toolchain to start developing on the project. Many students approached me in the last days and asked for help and instead of explaining everything multiple times, I try to write it down here. There are a couple of prerequisites you need to download. First let’s start with something that is NOT a prerequisites: A specific Operating System. Students approached me and thought they had to install a Unix based system. This is not true. You can setup this toolchain in either Windows, OS X or any Linux distribution. I do highly recommend working on a Unix system at some point during your course work, but if the number of new technologies is already overwhelming for you, this might not be the right time. As I run a Windows platform, my screenshots are based on Windows. I will try to point out major differences whenever possible. I recommend the Oracle distribution, as I have not tested it with the OpenJDK. Download either Version 7 or 8 from Oracle. Git is used as the Version Control System (VCS). There are GitHub specific applications which you can download on their webpage. I personally prefer the command line itself. For Windows can download Git from the project webpage. For Unix systems you can install it via your package manager (e.g. apt-get install git). Under Windows you can then launch a Git Bash or add it to your path to launch in PowerShell. Maven is used as the build tool. We will use it to manage our dependencies as well as compile, build, test, package and deploy our code. Download it from their project home. You do not to actually install anything once you downloaded it. Extract the files into a new folder. I recommend creating a folder for maven and application servers somewhere like: C:\development\maven. OS name: "windows 8.1", version: "6.3", arch: "amd64", family: "dos"
Next we need our application server: Jetty. Download it from the eclipse project page. I recommend version 8 as this version is used to run on the Beaglebone Black. Again no need to run anything. Just extract the files to a folder, e.g. C:\development\jetty. Nothing has to be included in the path. Now we can finally download and install an IDE. I know that the course recommends Eclipse and it is widely used. 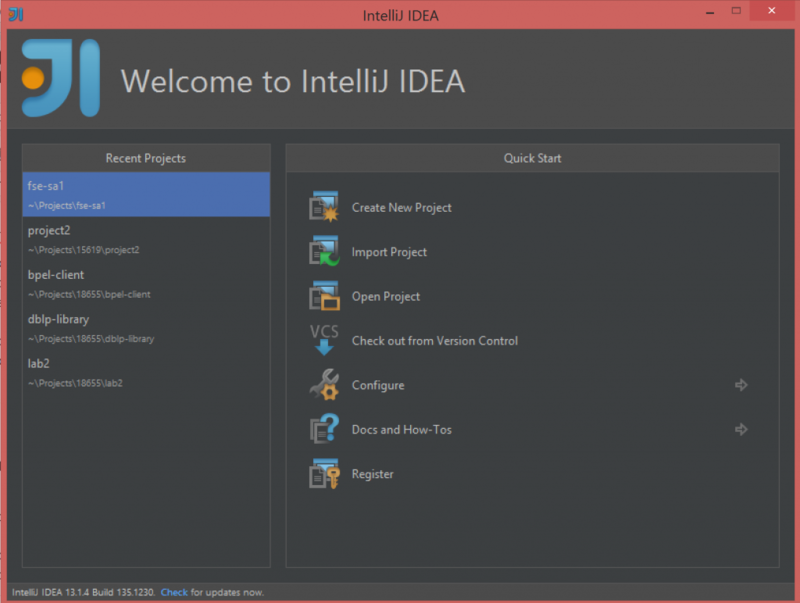 But I personally prefer IntelliJ IDEA. It is developed by JetBrains and they develop great IDEs for a variety of languages. As of right now, they offer free versions for students! 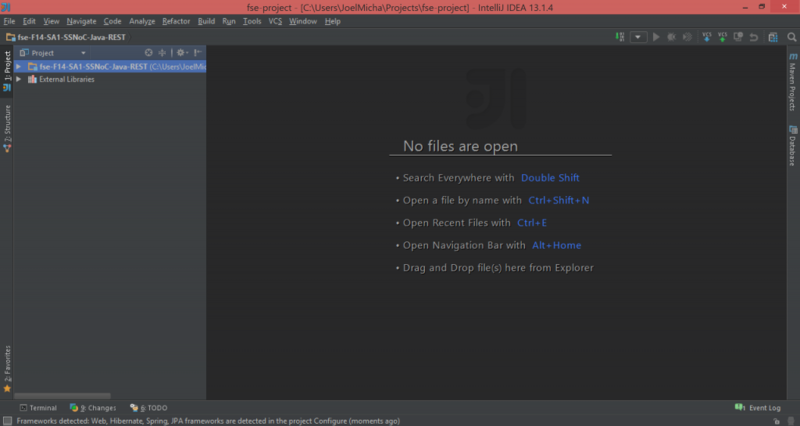 You can download IntellIJ IDEA from their webpage. Make sure you download the Ultimate version and and not the Community version. You have to sign up for an account though if you want to use it longer than 30 days. Install the IDE and start it. Now we can get to work. First we need to clone the repositories. Create a new folder, e.g. ~/projects/fse-project/. Change to the directory and open the Git Bash there. Clone the two repositories from GitHub. Project location: The root folder containing BOTH repositories (e.g. ~/projects/fse-project/). 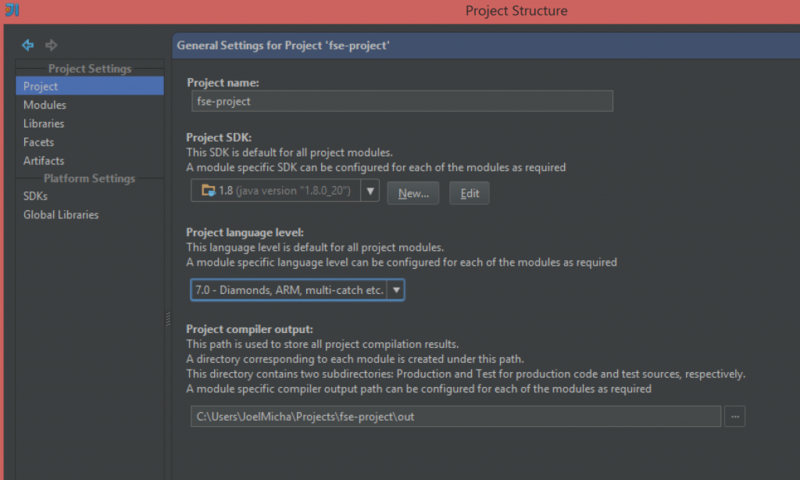 Note that the project name should be changed automatically. Click on More Settings on the bottom. Content root: Select the SSNoC Java Repository (e.g. 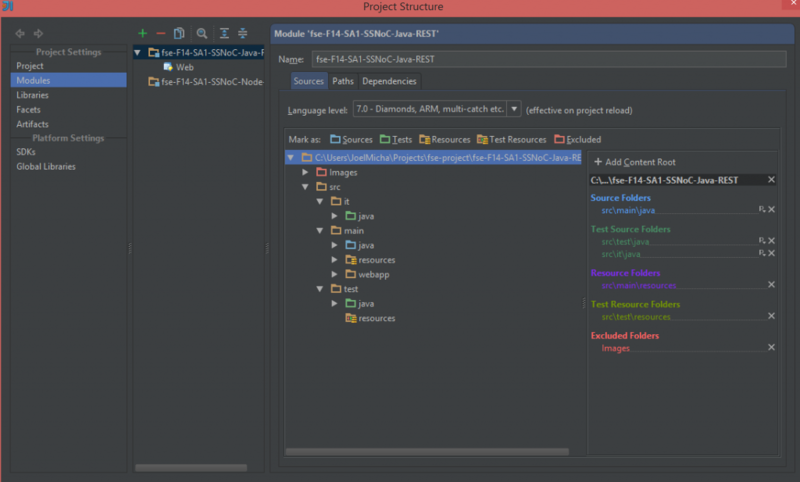 ~/projects/fse-project/fse-F14-SA1-SSNoC-Java-REST/). 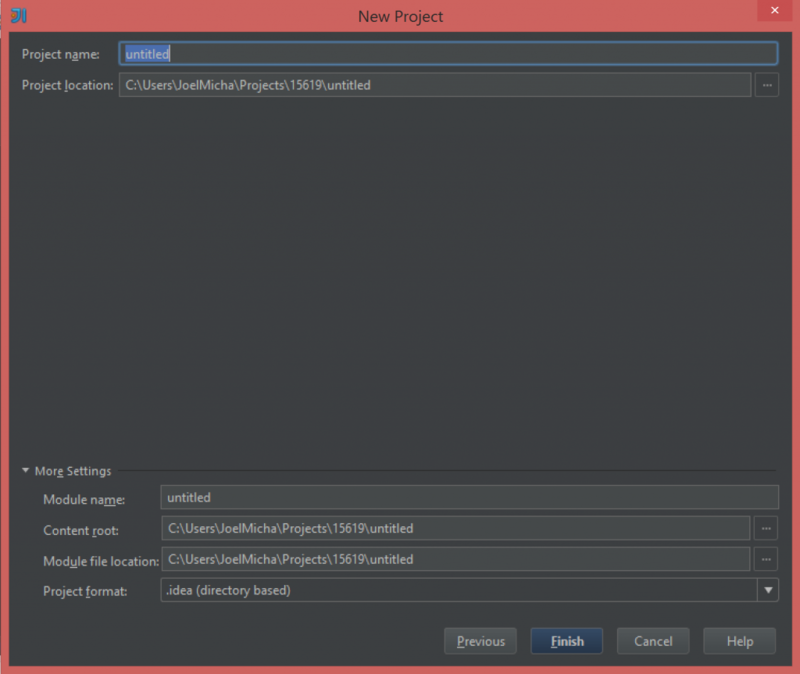 Right-Click on the module on the left and select Add Framework Support… On the next screen select Maven and click Next. Some of them might already be marked correctly. Just double-check. Now add a new Module by clicking on the green plus on the left. Select Import Module and select the folder of the Node repository. Click Next on the following screens until you can click Finish. Click Finish. Name: Give the configuration a meaning full name, e.g. Jetty 8. Application Server: Click on Configure and select the jetty home (e.g. C:\development\jetty\jetty-distribution-8.1.16.v20140903). A Warning will pop up on the bottom. Simply click Fix. A next Warning will pop up reading “No artifacts marked for deployment”. Again click Fix and select the one ending with “exploded”. Verify that everything works by running Jetty. Simple click on the green run button on the top right next to your configuration (e.g. Jetty 8). Congratulations, your backend is up and running. Select File > Settings (Preferences on OSX). Find the section called plugins. On the bottom of the screen is a button “Install JetBrains plugin…”. Click it and search for NodeJS. Install it and close the windows. The IDE asks you to restart. Node interpreter: Point it to the file of your node installation folder and select node.exe. Working directory: Select the frontend application folder. You should be all setup now! Happy coding! September 25, 2014 in CMU.